Invicta IT Solutions provide managed IT packages which allow businesses to control support expenditure and keep costs to a minimum. 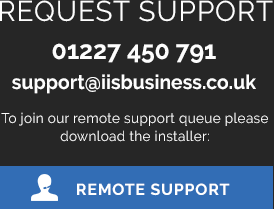 Unlimited remote and telephone support. Management of your reoccurring IT renewals (e.g. Antivirus, Domains, Hosting etc.). Monthly payments with no long term contracts.